"This is the fourth foal produced by Hidden Y's Special Flaire, and as of to date, they are all fillies." Harlan is being superstitious and says now that he has made this statement, the pattern will change. Ha! Annie's Song is jet black, and homozygous black. 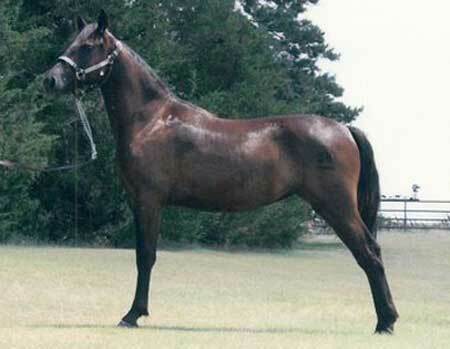 She is very inquisitive in nature and would be great all around versatile horse. Annie's Song should mature around 15.0-15.1 hands. 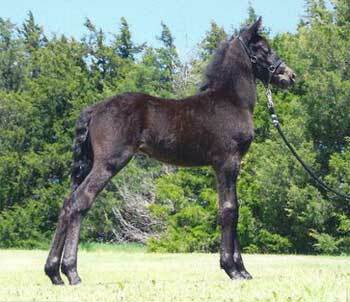 She was imprinted at birth, haltered at one day of age, bathed, trailered, and is current on all shots and worming.